What if the monsters we fear actually have a code to live by on who gets the kill? What if they all meet in one sick mash-up? Taylor Brandt's "The Code" tries to answer that question and to be honest it was simply hilarious. You can catch our full analysis and the whole short after the break. A couple is engaging on their first date when a swarm of zombies and a masked killer suddenly stalk them. Things get weirder when other monsters join the party. But the real question is, "Who gets the last laugh? The humans or the monsters?" The short film, which is around 6 minutes long, won countless awards in the recently concluded Houston Splatterfest Weeekend of Mayhem and it shows why. 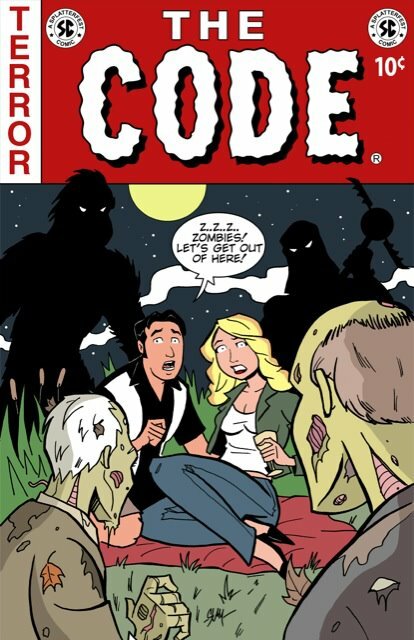 What really makes "The Code" stand out is the dialogue between the monsters involved. The icing on the cake is the twist ending which really caught us by surprise.